Field is a relatively new Edinburgh restaurant in West Nicholson St which opened earlier this year. Its focus is on simply food and high quality ingredients and we booked a meal there with my daughter on a Friday evening. The evening started well – my daughter Jane had tweeted about her meal and the people in the restaurant had picked this up, recognised her and welcomed her personally – a nice touch. There was also no nonsense about selling expensive mineral water. We were three on what was really a table for two but we had been warned to expect this and it really wasn’t too bad. The restaurant wasn’t busy when we arrived at 8 but by 8.30 was full and buzzing, with a great atmosphere. The menu is short – 4 starters, 4 mains and 4 puds. Jane and I had fricassee of wild mushrooms with a fried quails egg and my wife had beetroot cured salmon as a starter. 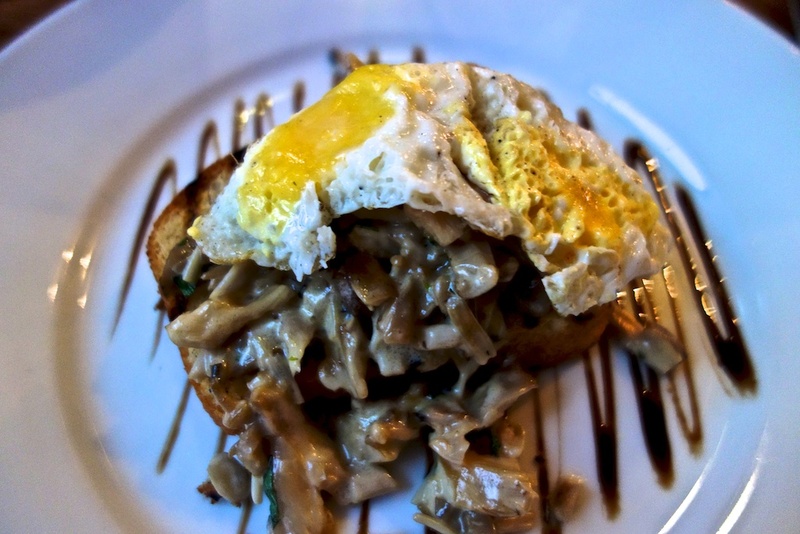 The mushrooms were really nice although I don’t think the egg really added much – but I am generally of the view that mushrooms on toast need no additions. The salmon was also very good – quite a subtle cure. 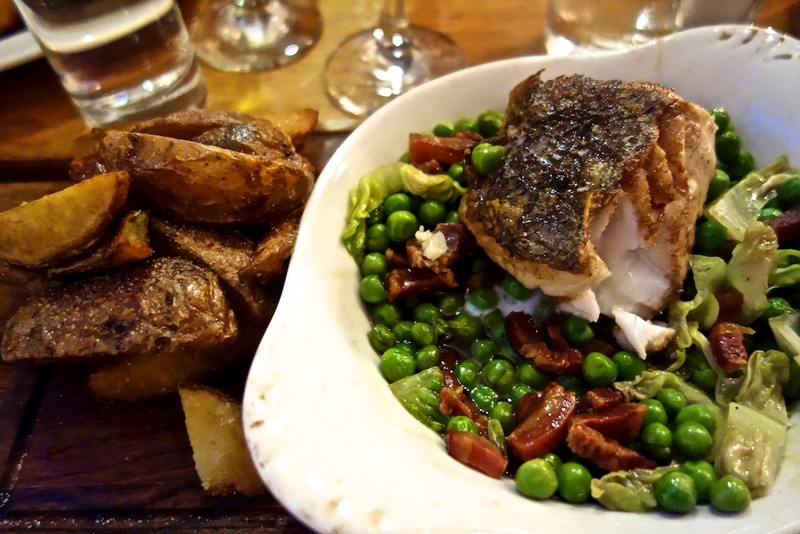 My main course was fish and chips – the fish was hake, one of my favourites and the chips were chunky and plentiful. These were accompanied by french-style peans – peas with bacon and lettuce. I’d heard of but never tried these before – they were delicious so I’ll definitely make them at home. Fish is easy to get wrong but this was cooked perfectly – flaky and moist. Others had the steak and the chicken. I tried both of them and they were equally good. Too full for puds so we simply had a cafetiere of very good coffee. The wine list looked interesting although I didn’t think there were too many bargains. We had a Picpoul de Pinet, a white wine that I particularly like. Overall, it worked out about £35 each including wine and coffee. The service from Rachel, one of the owners, was friendly and we had a chat about the restaurant and how they were doing. Highly recommended – we will definitely be back. FYUL (Food You Utterly Love) is a recently opened cafe on Bread St in Tollcross in Edinburgh. It has what might be called ‘bric a brac’ decor – bits and pieces of vintage stuff, unmatching wallpaper and furniture, and so on. It works well though it is a wee bit contrived. 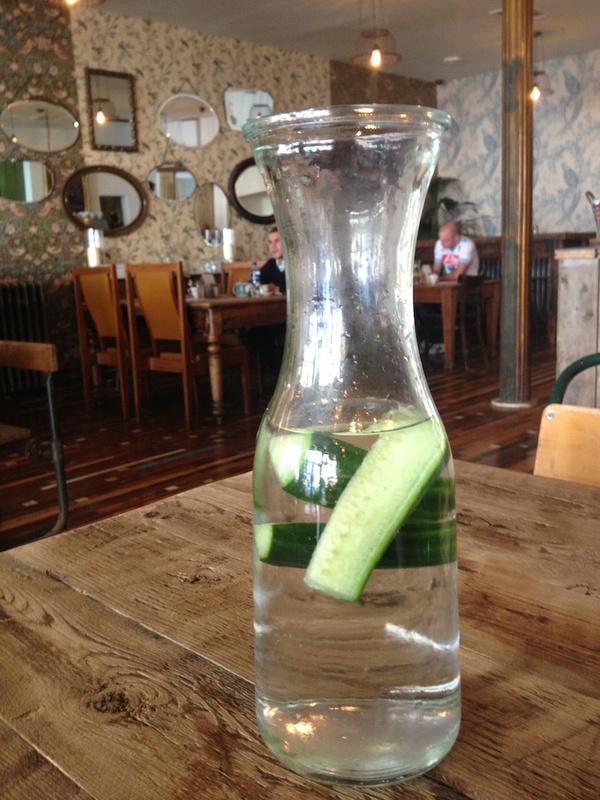 One thing that really annoys me is restaurants is when they try to sell you drinks as soon as you sit down but nothing like that here – we were offered a carafe of tap water. This came flavoured with pieces of cucumber which gave it a very subtle flavour. Definitely something to try at home. We didn’t want much to eat – I had felafel with hummus and salad and others had a wrap with a selection of fillings – cheese, onion and tuna. 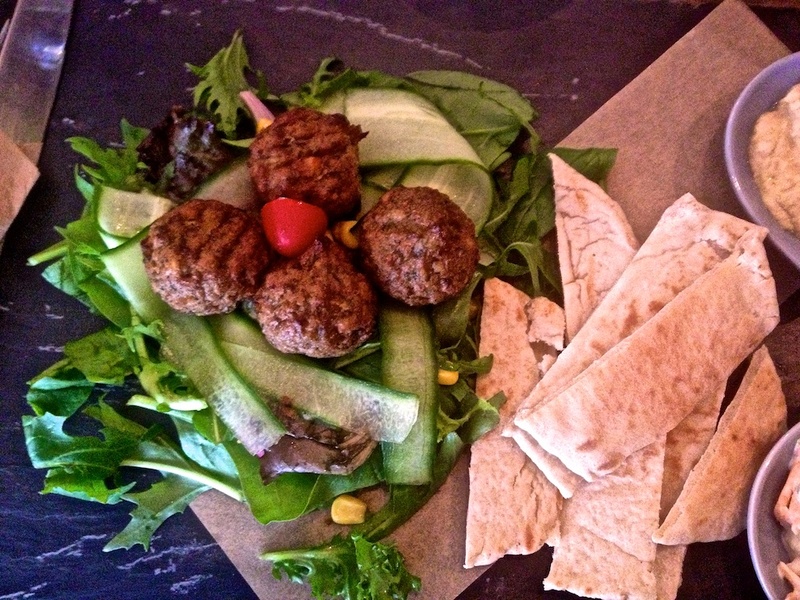 The felafel and hummus were excellent but a wee bit of dressing on the salad would have been a good idea. My taste of the wrap convinced me that I’d try that the next time. Excellent and friendly service – a good addition to the Edinburgh cafe scene. We will be back.